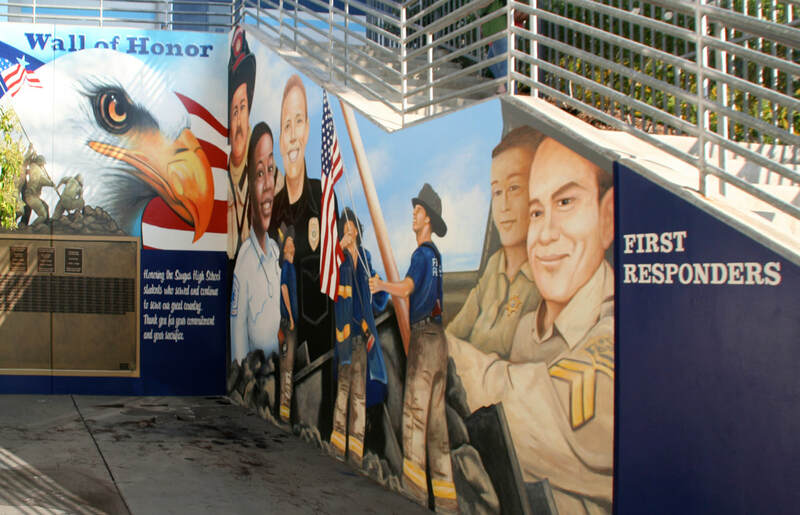 "It is indeed a privilege to be able to honor all of our First Responders. 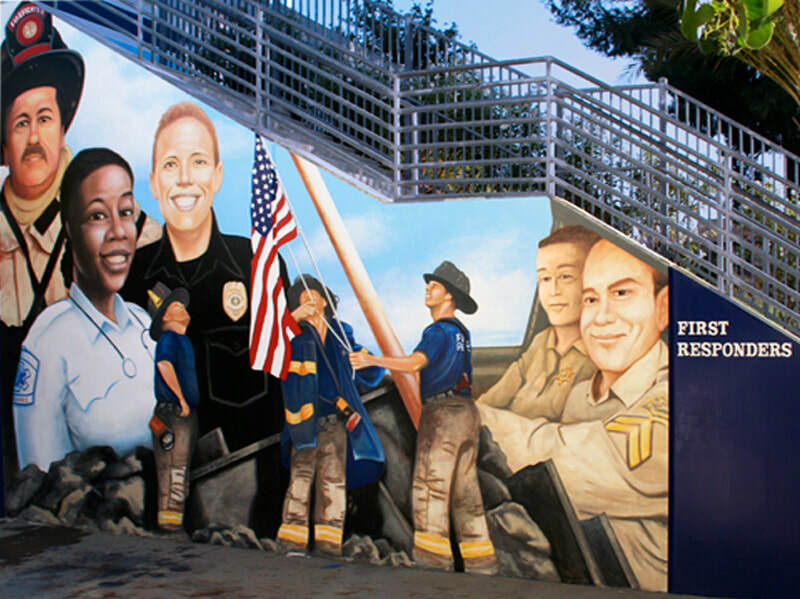 This Wall of Honor: First Responders' Mural was painted with the assistance of Heidi Floren, in collaboration with the fine folks over at Boss Graphics. ​Art and Soul Productions has worked with Boss Graphics for years and we value the contribution they make to our schools and to the communities they serve.